The ABS capacity rose greatly in 2018. There were limited newly added units being put into operation in China, but the existing capacity was completely released. Some ABS producers overloaded their units, so the utilization continued rising, leading to ample supply of ABS. The ABS output and overall operating rate remained at high levels in 2018. In the most months, the average operating rate reached above 90%. During the overhaul period, most manufacturers built the stock in advance ready for maintenance. Instead of short supply, oversupply always appeared. The supply of ABS was ample in 2018. Meanwhile, many downstream industries such as air condition industry grew more slowly than before, thus, the upward range of ABS market prices was narrow. The base of average price in H1, 2017 was low, so the average price of ABS in H1, 2018 was higher than that in 2017. Participants can focus on the speculation demand for ABS in 2018. As a result of the breakthrough rise in international oil prices in 2018, the overall price of the three feedstock has been raised. The profits in the ABS industry shrunk in 2018, but the average profit in 2018 was better than that in 2017. The newly added capacity expanding plans were underway steadily, and new producers were active to enter the market. In the future ABS industry, will it still be the sellers’ market? Will the high profit end? During the period of oligopoly, with the checks and balances of various forces, will the ABS market change and have new characteristics? In the middle and late period of The 13th Five-Year Plan, how can the ABS industry complete technical barriers and innovations to find and grasp the new hotspots and development motivation? Please pay attention to the professional presentation in the 2018-2019 China ABS Market Annual Report. This report is based on the raw data of 14 years of investigation from SCI, the authoritative data published and provided by National Bureau of Statistics, General Administration of Customs, National Development National Development and Reform Commission, etc. Combining with senior specialist, domestic major suppliers, traders and downstream producers, SCI will make detailed review of China’s ABS market in 2018 and analyze the changes in market supply and demand, price trend and import & export data. 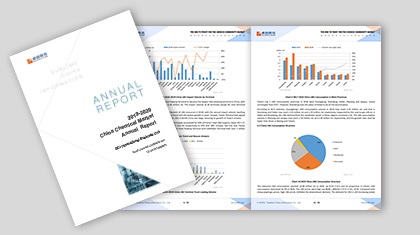 The core competitiveness of the 2018-2019 China ABS Market Annual Report is the most comprehensive data presentation, which embodies the results of SCI's meticulous investigation and detailed research on the ABS market. SCI provides a strong basis for judgment and decision-making from the perspective of the whole industry. The structure of the ABS market annual report becomes more reasonable, with the breadth and depth of predictions expanding. SCI will continue working on the depth improvement of the annual report, to provide customers with in-depth data and analysis support. 1. To learn about ABS supply-demand fundamentals clearly, by analyzing PP supply-demand balance. 2. To help customers overview the ABS market from the view of overall industrial chain, to analyzing the upstream and downstream markets and supply-demand pattern. 3. To forecast the ABS market in detail, by studying the ABS market development trend in the future from varied angles and facts. 4. The comprehensiveness and reference value of the data will increase significantly.